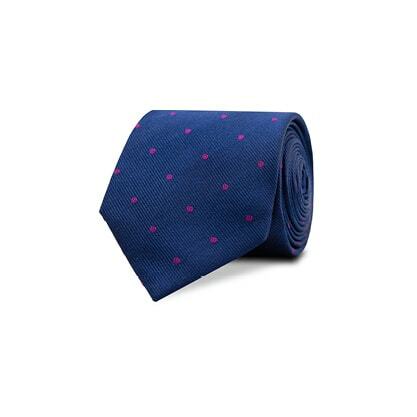 This fuchsia spotted navy tie would be your traditional navy silk tie, if it weren't for its fuschia spots, transforming the tie from plain to playful. You can wear this tie to work, or for your next wedding—however you decide to dress it up, or down, is up to you. We recommend styling this 100% silk tie with a half-windsor knot, or a four-in-hand knot.